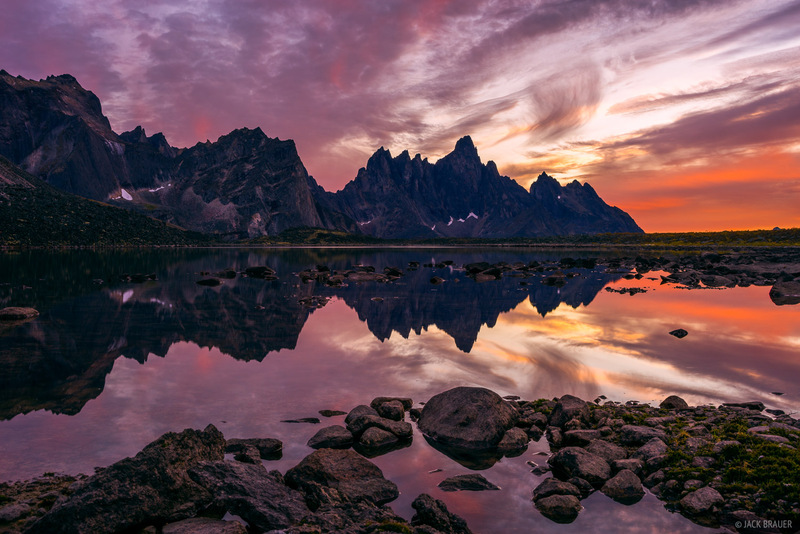 Tombstone Mountain reflects in Talus Lake during a fiery sunset. This was actually a "second" sunset; the sun had already set a half hour prior according to the clock, but that red light bounced around the globe under the clouds, offering a second sunset later than it should have happened! Photo © copyright by Jack Brauer.